Folding openers are used to positively lock a window in a closed or open position with a specific gap. They are gravity dependent, so they’re best suited to top hung windows. However, they may also be fitted to bottom hung, fully reversible and pivot windows as long as the units are not installed on an angle (e.g. sloping roof windows). 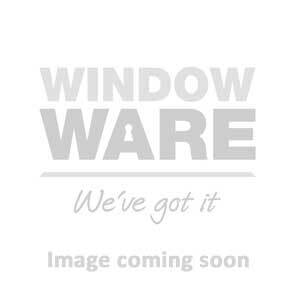 In this section, you’ll find a folding opener to suit a huge range of casements including aluminium, PVC-U, timber, steel and composite windows. Caldwell’s range of folding openers are widely regarded in the UK as the premier over centre cam stay and Window Ware is proud to be an approved distributor. That means you’ve come to the right place for extensive product knowledge, dedicated support and proven, practical solutions that work. To help you build the right system for your particular casement configuration, we’ve grouped products according to high-level (pole-operated) or low-level (hand-operated) usage. If you need a folding opener system to work with an operating pole or boss pole on windows at height or in hard-to-reach places, we recommend the Caldwell 110 / 111 series. These cam openers have been designed to work with a small 18mm diameter boss pole for safe, controlled and effortless operation at distance every time. Your exact choice of opener depends on the step size and screw centre you require – please check with our technical team if you’re unsure. Looking for folding openers to work on windows at low levels which will be operated by hand? We recommend the Caldwell 112 series. These cam openers have been designed to be safe for manual use and give an extended opening arc that ensures the tandem bar won’t clash with internal cill boards. The step size and screw centre is critical to specifying the correct opener – please consult our technical team if you need help with your product selection.